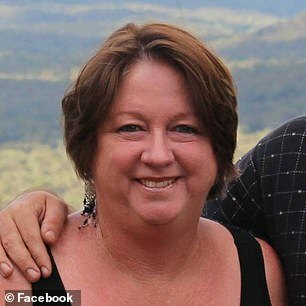 A farmer promising backpackers a ‘real taste of authentic Australian living’ has hit back after she was accused of exploiting travellers for free labour. Heather Davidson, who runs a 650-acre cattle farm with her family about three hours out of Sydney, posted an ad on Facebook asking for volunteers to work 9-5, six days a week on her property, with three breaks a day and ‘regular nights at the pub’. The ads received a mixed bag of responses, with most claiming she was exploiting the workers by not paying them. The woman went on to claim operations like Ms Davidsons were ‘ripping off’ backpackers and ‘treating them like slaves’. Backpackers who come to Australia on a working holiday visa are able to stay in the country a second year if they complete 88 days of specified work in a regional area. This is usually fruit picking, farm work or horticultural work. Ms Davidson told Daily Mail Australia those slamming her had ‘no idea’ how difficult it was to get a decent farm job for the 88-day period with no experience. She said she had been running the program for nine years, and had taken in more than 200 backpackers, most of whom she was still in contact with years later. ‘We get wonderful people,’ she said. ‘Airline pilots, mechanics, nurses, a whole range of people, and a wonderful experience. ‘If [my critics] can go out and get a really good paid job on a farm tomorrow, I doubt that very much. She said there is no minimum stay for the backpackers that come to her farm, and most end up extending their stay, even though they haven’t been paid a cent. ‘The backpackers we get don’t mind. Normally they say they’ll come for a month and they stay two,’ she explained. One such person, Netherlands woman Eva Schouten, said she had ‘the time of her life’ in the four months she stayed at Ms Davidson’s farm, Gotico Park. ‘It was an amazing experience. Really nice people, no slavery,’ she said. In the 12 hours Ms Davidson’s post has been online, she says she’s received six applications, and is expecting many more. True Aussie farm life!! Farm hand (male) or couple needed for volunteer position(s). If you’re looking for rural work but don’t have any experience, then this could be the opportunity for you to gain free training. The host family lives on a stud consisting of 40 horses and runs a 650-acre cattle farm. You’ll learn all the farm skills you need – from fencing, tractor driving, sowing crops, quad biking, livestock mustering and even riding a motorbike – making you more employable so you can move on to a well-paid farm job (and make some amazing memories while you’re at it). Gotico Park cannot sign off for second year visa since it’s an unpaid position. There is opportunity to work with horses in all aspects if you’re interested. Accommodation and all food is provided including a home cooked evening meal and you get a real taste of authentic Australian life living as part of the family in a warm and welcoming environment. There are regular nights down at the pub and the chance for day trips if you’d like to explore more of Australia (we’re just three hours out from Sydney so opportunity to take trips to the Blue Mountains etc.). Hours are usually 9-5 with three breaks depending on the weather, 6 days a week. We take backpackers all through the year so if you’re sorted now but looking for something in a few months time then still get in touch! ED: Interesting business model. I guess people have choice.